Welcome Video to Technology Management courses. Welcome to our Technology Management Laboratory. During several years I have been doing these videos to introduce our curses about business and technology courses. I believe that several of these courses are in the middle line between businesses and information technology. Introduction to Technology Management laboratory is an overview of both business and technology sides of management. It is an overview of the importance of people, organization, and technology in globalization. It also mentions Business Intelligence, Strategic Management, Project Management and Innovation. We continue with Social Media and Mobile Devices to finish with the next generation of leaders and social responsibility. How can be apply these topics in our current discussions? As we continue our learning journey in our Business Intelligence course, we are producing new videos or microlectures that are covering specific topics and current trends. In the mean time, we are sharing some of our videos that cover one or several topics related to our course. This one is about Information Security that we are covering in several modules. I have mark the minutes of different parts in case you want to advance and watch a particular topic. Big data and data mining is covered as we mention the importance of extracting useful data. You should explore topics in more detail. Advance video to area that you want to watch. (1:59) Security Policies. Information overload. Big data. Communicate policies. (3:38) Vulnerability Assessment. Know strengths and weaknesses. Identify and prioritize. Read current online resources to find trends and updated information about these topics. Participate in active discussions in online forums. Digital Attack Map. October 21, 2016 Cyber Attacks. #DigitalAttackMap. Check October 21, 2016 and see what happened when part of the Internet was shutdown due to cyber attacks. 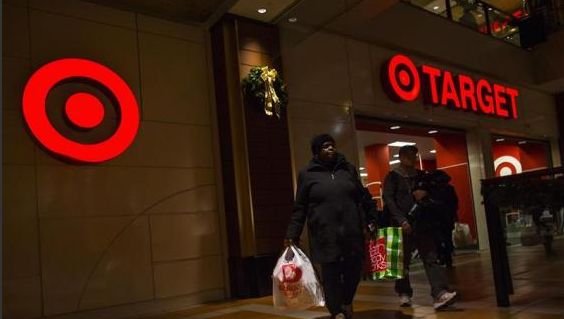 (Reuters) – Target Corp and Neiman Marcus are not the only U.S. retailers whose networks were breached over the holiday shopping season last year, according to sources familiar with attacks on other merchants that have yet to be publicly disclosed. Exclusive: More well-known U.S. retailers victims of cyber attacks – sources.